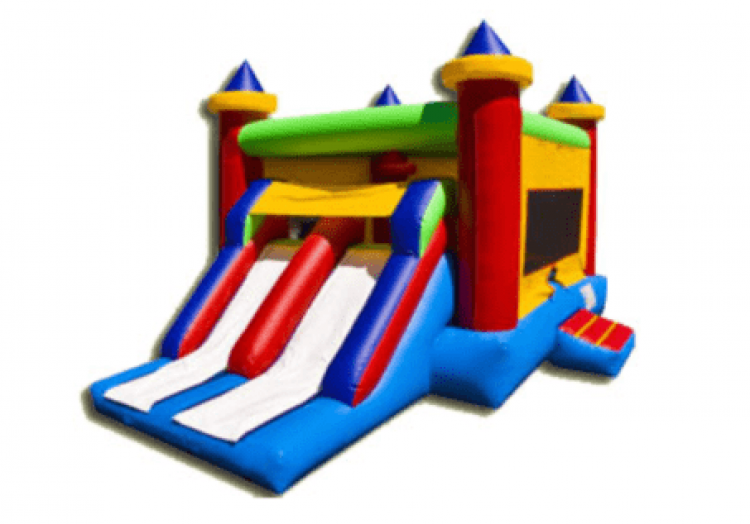 Get ready for Double the Fun with our Double Slide Combo from Bruno’s Bounce House! All our bouncers are clean, sanitized, and in working order; just waiting for your call! Commercial grade Castle with Double Slide & Basketball Hoop Inside.